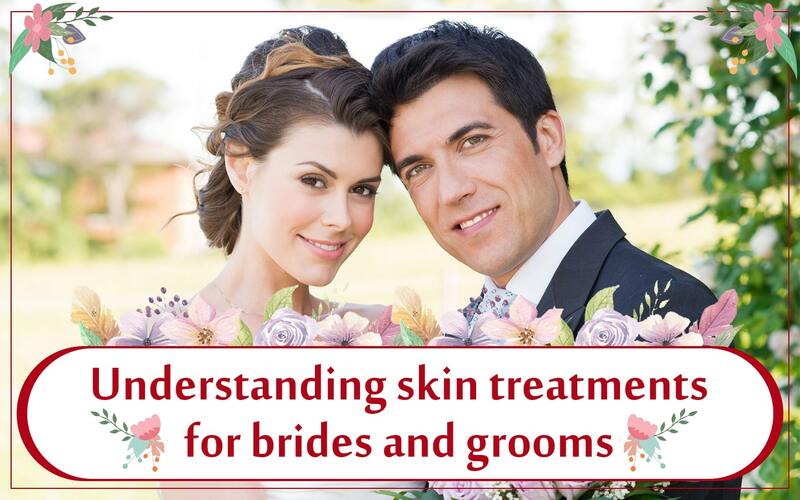 The moment the wedding date is finalized, the bride/ groom should book an appointment with a dermatologist. If they have problem skin ie acne or pigmentation or dull skin, they should ideally seek a dermatologist’s opinion 6 months in advance. It takes 3 to 4 months for acne to resolve, it can take 6 to 8 months for the blemishes and pits that occur due to acne to heal. Pigmentation again takes 6 to 8 months with the help of peels and lasers.If there are no skin problems and you just want to look resplendent on your big day,visit the dermatologist 3 months in advance in order to understand what skin care products and cosmetics to buy for the big day such that you don’t end up with pimples, break outs or rash. A dermatologist will also examine your skin and customize treatments in order to prevent adverse effects on your skin. Treatments at a skin clinic are done under extreme hygienic conditions. They are more scientific, safe and results last longer. The concentration of peels or meso cocktails available are much higher at a clinic, hence results are better. 4. Photorejuvenation : Popularly known as laser facial or photofacial. In this treatment, the Nd YAG laser or the fractional erbium glass laser or IPL (intense pulse light) is used for giving the skin an instant glow, as well as tightening and closing of open pores. It also improves skin texture through collagen stimulation.You can get this treatment a week before the occasion, but it is important to get it done only by a qualified and trained professional. I would recommend that you do a photofacial at least a month before the Big day to make sure it suits your skin. You can then repeat it just before your wedding. One must remember the dos and don’ts when choosing dermatology treatments for best results and no side effects. After mesotherapy , oxygen jet peel, PRP for face or facials , one should avoid sun exposure, use an oil free sunscreen with SPF 30 about 20 mins before you step out in the sun. Do not step out without a sunscreen. Reapply the sunscreen every 2 to 3 hours if outdoors. Avoid picking or removing the skin which peels after a peel procedure, that is if you have undergone a peel wherein the skin peels. In such cases, let the skin peel on its own. Avoid bleaching , waxing , threading at least 2 weeks after a peel or laser. Avoid scrubs, loofahs, swimming, steam, sauna, retinoid based creams at least for a week after a peel or laser. For more, read Dr Jaishree’s book “Skin Rules” published by Penguin and available online and at leading book stores.